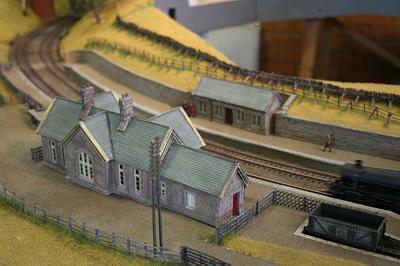 Dent station is on the Settle to Carlisle line of the Midland Railway and serves the villages of Cowgill and Dent. 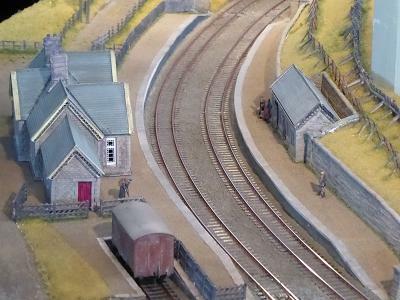 Completed in 1877 the line is renowned for the rugged Moorland, its tunnels, viaducts, amazing scenery and snow, the stone station building itself is famous for being the highest on the English railway network at 1,150 feet. 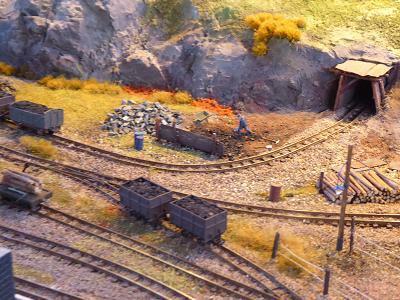 The layout is 00 gauge built to traditional methods using Peco ?ne scale track. 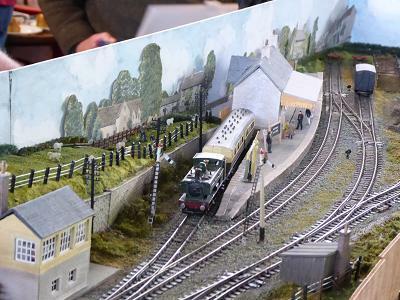 It was inspired by the work of David Jenkinson and built to provide a circular layout that I could sit back and watch trains run round. The scenery attempts to capture the bleakness of Blea Moor, the landscape with extensive stone built walls and snow fences. The track gang you can see working muffled up in overcoats against the cold and the lack of passengers reflect the distance of the station from any local housing. Cowgill village is half a mile away while Dent itself is nearly 5 miles further to the west. 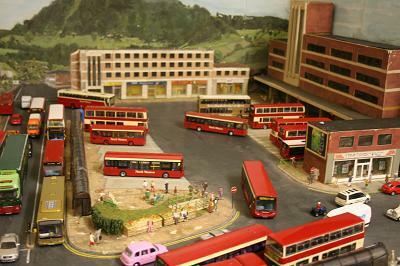 The layout runs with LMS motive power on one day and British Railways steam the other, rolling stock re?ects this. 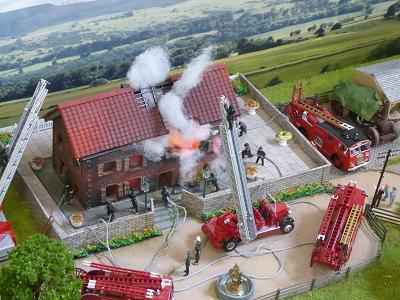 Gare de Brindille is my first attempt at a 16mm model railway and depicts a section of the War Department Light Railway (WDLR) in Europe during the Great War. 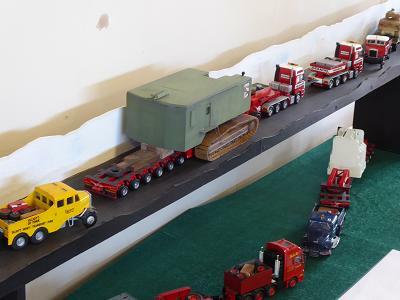 It is something of an experiment as usually this scale is the reserve of the garden railways enthusiast with radio controlled locomotives , I have used track power. 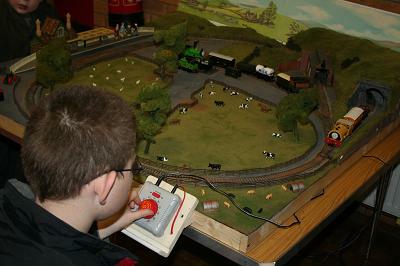 It is a simple test track laid out as an "lnglenook" or shunting twig. 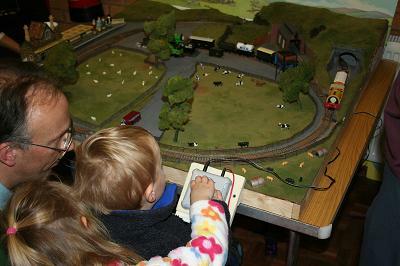 I have used Peco track and it is designed to allow us to play trains by shunting the various WDLR wagons. 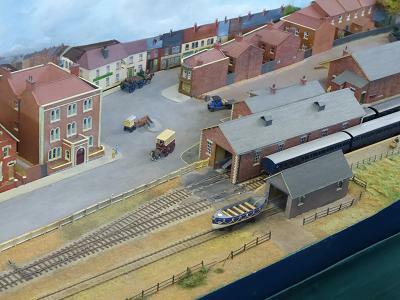 I have built these from kits largely as a result of an increasing interest in the WDLR a 100 years on from the First World War. The publication of the "WDLR Album" compiled by Roy C Link. 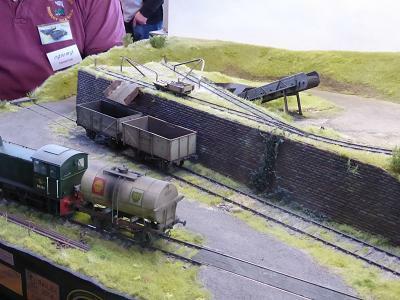 The chance purchase of the Swift Sixteen "Protected Simplex" or "Tin Turtle" at 'Tracks to the Trenches" in Apedale in 2015 and 2018 were also major factors in the development of the layout. 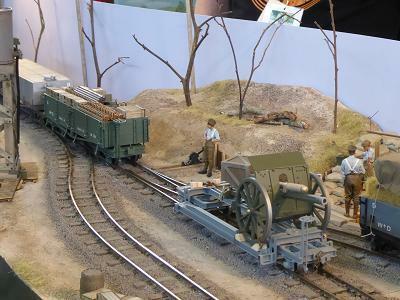 My model contains a number of scenic elements typical of the World War 1 narrow gauge railways, it is very loosely represents a small loading point some way behind the trenches. 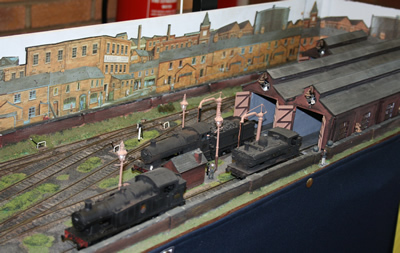 The layout is run with an NCE DCC system and the locomotives are sound chipped with Zimo decoders from Digitrains. 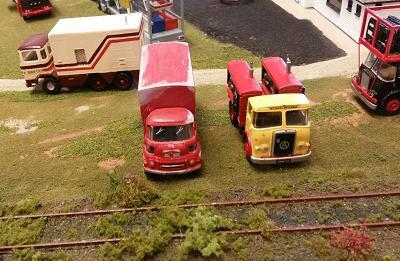 They represent the small petrol engine locomotives typical of the era and are built from kits by Swift Sixteen and PDF models. 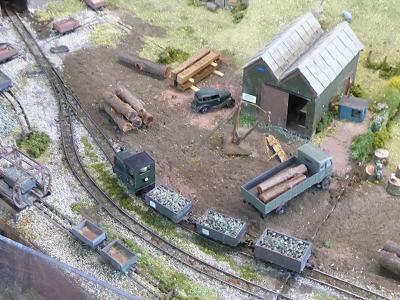 The wagons are kit-built and modified plastic, resin and wooden kits from Swift Sixteen, Andel, Red Star and Slaters. 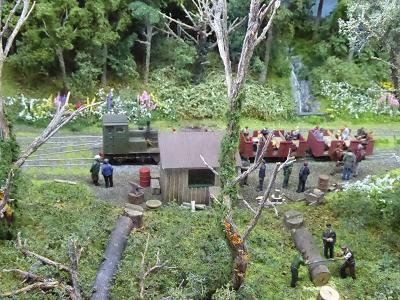 Tony was the owner of this forest in the 1890's and he built a narrow gauge railway to bring timber down to his own saw mill. The line was extended during the Great War when there was an increasing need for all raw materials, however it fell out of use afterwards. It saw a new lease of life during World War 2 when parts of it were used to ship more timber and quarry stone. 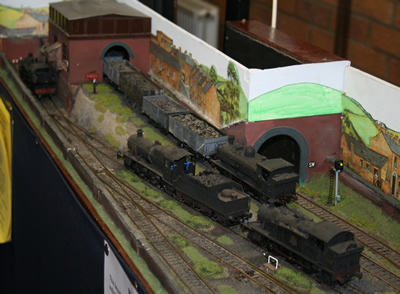 My model railway portrays the line coming up the hillside to a passing loop with the old tracks forward now disused and overgrown. 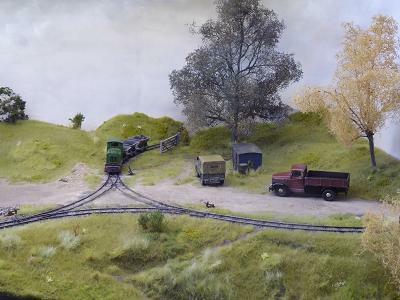 The line reverses and continues up the hillside while a newer branch leads to a quarry which now supplies Shropshire County Council with road stone. 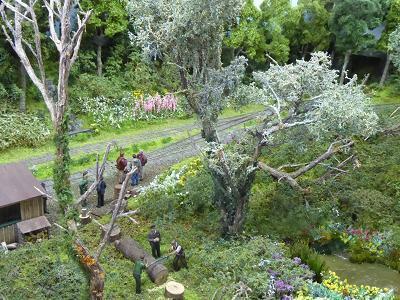 The area is still known as Tony's Forest but the railway remains known only to a few enthusiasts and the local population. 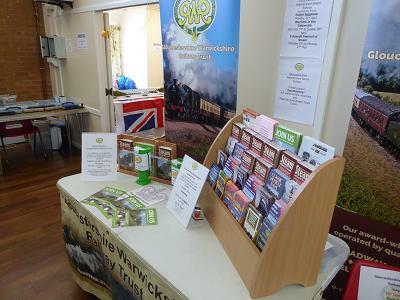 There are some rare locomotives still in use and unknown to many enthusiasts. 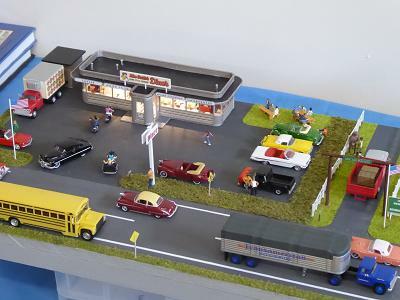 However, this is the late 1950's and modernization is on the way. Who knows how long this little backwater will survive before being noticed by someone in the Council? The future is very uncertain. 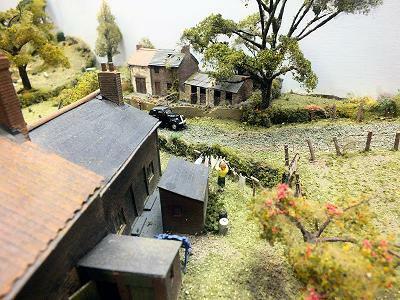 Emphasis has been placed on scratch-built scenery and structures whilst most of the rolling stock is built from kits. 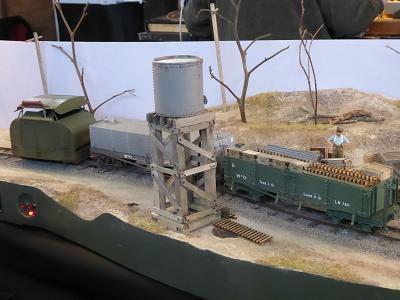 Track is hand-built using Peco nickel silver rail on copper clad sleeper strip obtained from the 7mrn Narrow Gauge Association (NGA). Buildings use wood, embossed card or plastic sheet and Grandt Line windows again from the 7mm NGA. 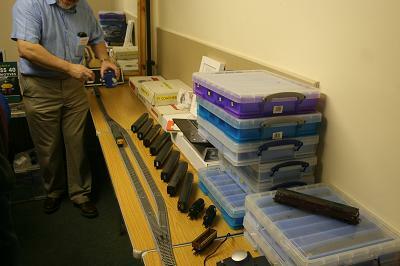 Locomotives and rolling stock are mainly kit built. Locomotive chassis are fitted with high ratio gearboxes and flywheels where possible. 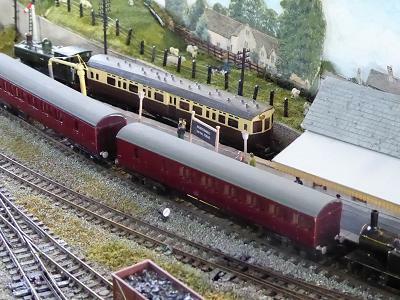 Passenger coaches are converted Bachmann On30 Trolley bodies mounted on bogies from the 7mrn NGA while the quarryman's open coaches are from S&D Models. 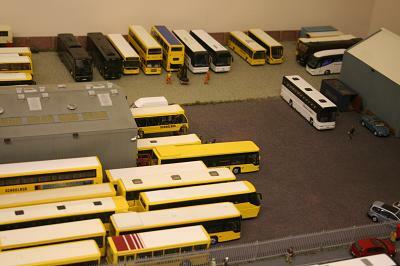 Wagons are from KB Scale and Wrightlines. Greenwhich couplings are used which are activated remotely by permanent magnets set into the track bed. 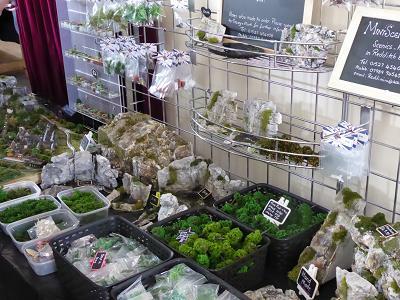 This layout is inspired by various locations in the Forest of Dean. 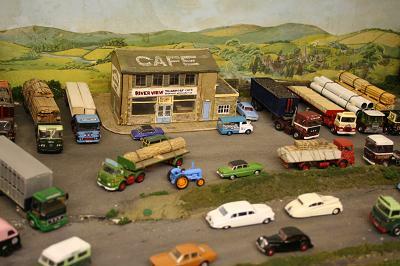 Whitcliffe Quarry is an actual place to the south-west of Coleford. 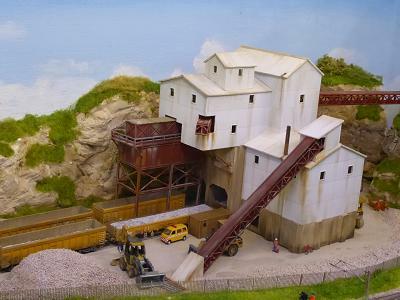 The prototype is a lot larger than the model, I have had to down size the stone crushing and storage plant to a much reduced version of the real thing. 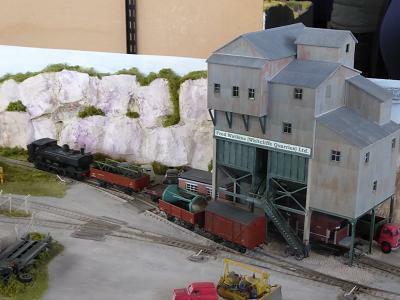 Fred Watkins was the local entrepreneur who operated the quarry, along with the engineering works and scrapyard at the end of the real life Sling branch, using modellers licence I have placed all the points of interest adjacent to the quarry complex. 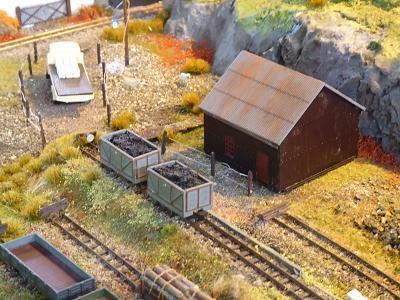 The layout also features the sand siding, plus an abandoned horse-drawn tramway wharf for loading stone blocks from local quarries. 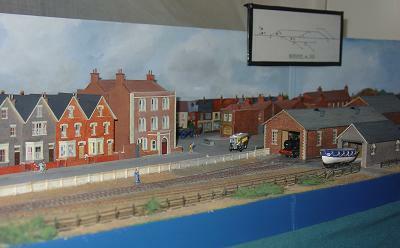 This is based on the prototype at Bicslade wharf near Cannop Ponds. 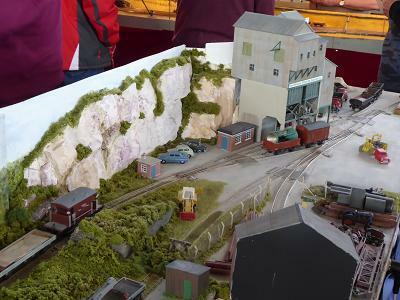 Stock operated on the layout is what was actually used on the Coleford branch but is expanded to what could feasibly have been seen if the full service had been maintained until closure of the line to the quarry in 1957.